Vape Breakfast Classics French Dude Salt Nic e-liquid by Virtue Vape is a sweet and savory breakfast vape that combines thick slices of French Toast drizzled in sweet maple syrup, a handful of plump ripe blueberries and a dollop of whipped cream. Wow, that's a mouthful of delicious breakfast vaping goodness you'll want to enjoy all day. 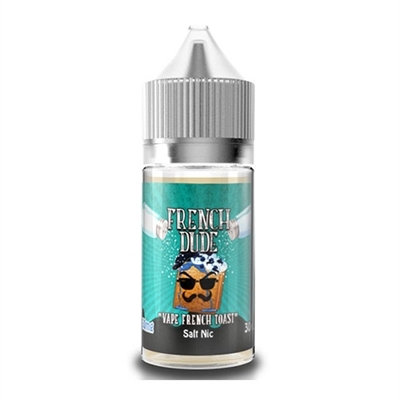 Nicotine Salt vapers can finally enjoy this top selling ejuice made especially for low wattage pod system vaping devices. The wait is over! Grab one today.